This year we are stepping away from over consumption on all levels. We have minimized our decor and gifts and maximized our time together. It takes mindfulness on all levels. It is so rewarding! Fantastic Ellen, collecting moments instead of things is more than just a popular cliche. 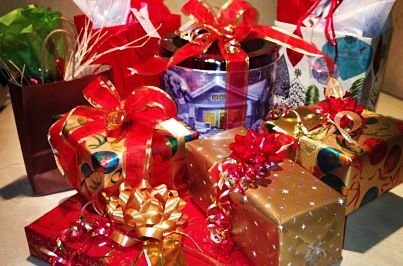 Paring down decor or limited gift-giving does not depreciate the beauty of the holiday. The joy we get from family time is the best gift of all. Perhaps this is something we understand the older we get. With age comes wisdom 🙂 Happy Holidays!!! I love the attention you are giving to “enough.” This is a concept I think we have lost touch with, and it is worth pondering. At what point do we honestly have enough, and then how do we deal with acquisition beyond that point. Great conversation! Yes Seana, it seems that we all have our own individual benchmarks for our “enoughs.” We eventually all get to a place that we can no longer tolerate our cluttered spaces, which may force us to look at our over abundant possessions.